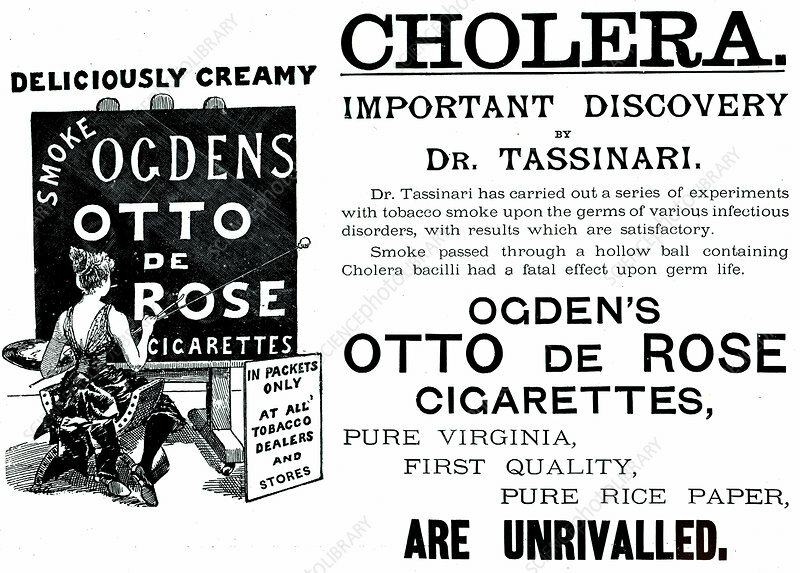 Advertisement claiming that smoking cigarettes could prevent, perhaps even cure, Cholera. This was published at the time an epidemic of the disease was raging in Hamburg and there were fears of it spreading to Britain. From The Illustrated London News September, 1892.